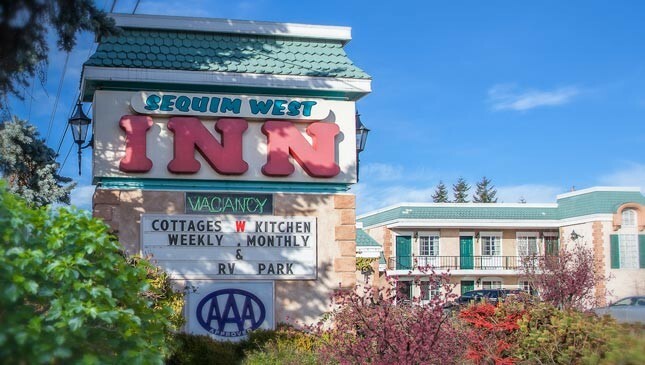 Sequim West Inn offers a variety of Sequim lodging at our location on the west end of downtown on the Olympic Peninsula of Washington State. The uniquely styled lodging of the hotel/motel rooms at Sequim West Inn offer free Wi-Fi, sitting area with cable TV and much more. 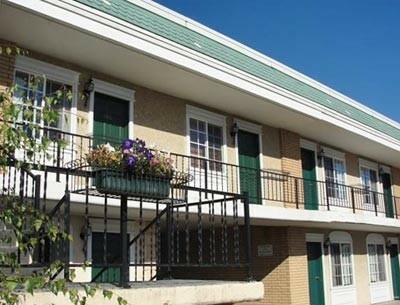 Visit our motel rooms page for full information. The secluded lodging of the cottages at Sequim West Inn provide scenic views and complete suite accommodations, including bedrooms, bathrooms, living room and kitchen. Visit our cottages page for full information. The on-site RV park lodging at Sequim West Inn offers spacious pull-through sites with full hookups and scenic views. Visit our RV park page for full information. Dungeness National Wildlife Refuge, 7 Cedars Casino and Sequim Valley Airport are within a 10 minute drive of Sequim West Inn. The Coho Ferry to Victoria, B.C. is a 20 minute drive from the property. The entrance to Olympic National Park is a 25 minute drive away. Get more information about Olympic Peninsula Attractions & Events. Experience the difference of our Sequim lodging and dedication to serving you.